Come out to a fitness boot camp with Jerry Washington at 6am. Meet at Cynwyd Station. Come out and help us clear some new space by the river. *Dates and times are subject to change, especially in the summer. 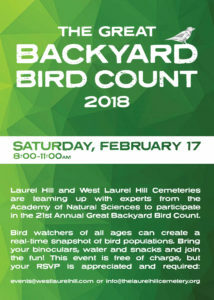 Building on our biodiversity efforts and in partnership with the Academy of Natural Sciences, we will be hosting an opportunity to participate in the national Great Backyard Bird Count (GBBC) to help further bird research and education. Join us on Saturday, February 17th from 8 to 11 am to count the many unique species of birds on our beautiful grounds with ANS ornithologists. This event is free but registration is required at both cemeteries. And make sure to bring your binoculars, water and snacks! 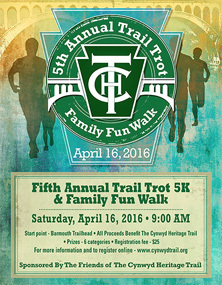 6th Annual Trail Trot 5K / Family Fun Walk Coming Soon! YOGA ON THE TRAIL IS BACK FOR 2017! 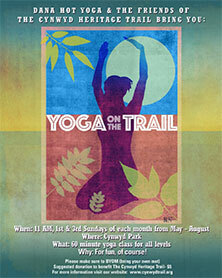 Dana Hot Yoga & The Friends of The Cynwyd Heritage Trail bring you Yoga on the Trail. When: 10 AM, 1st & 3rd Sundays of each month from May – Sept.
Why: For fun, of course! The Friends of the Cynwyd Heritage Trail Friends Ride Together! The bike race in Philly is cancelled this year but we will still mount up and ride. Parking available at the station and street parking on Bala Ave. or Conshohocken State Rd. Stay tunes for more details! Trail Trot and Family Fun Walk coming May 21st, 2017! All life on earth depends on insects, for more reasons than most people realize. 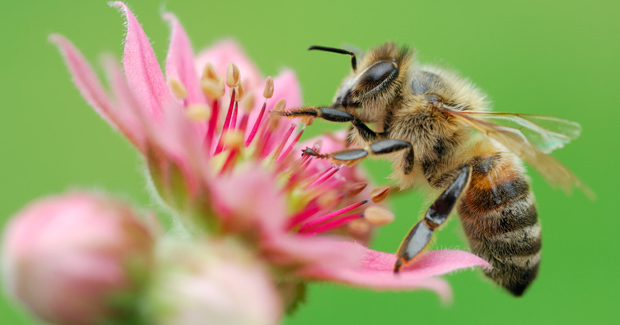 Explore some of the immeasurably important ways that insects keep ecosystems functioning. Learn how we can conserve our much-needed insect diversity through the landscapes we plant. Light fare after the program. Free tours of the arboretum at noon and 12:30. Special Biking Event on the Cynwyd Trail! This Sunday, September 11, from 8:00 am to 10:00 am, more than 500 bicyclists who are riding in the The 20th annual Scenic Schuylkill Century will cross the Manayunk Bridge, continue from the bridge to the Barmouth trailhead, traverse the West Laurel Hill Cemetery to the Pencoyd Bridge, and continue on for an additional 95 miles through Philadelphia and its suburbs. Early morning dog-walkers, runners and casual bikers should be aware of increased traffic on the paved area of the Cynwyd Trail between Barmouth and the bridge during this time period. 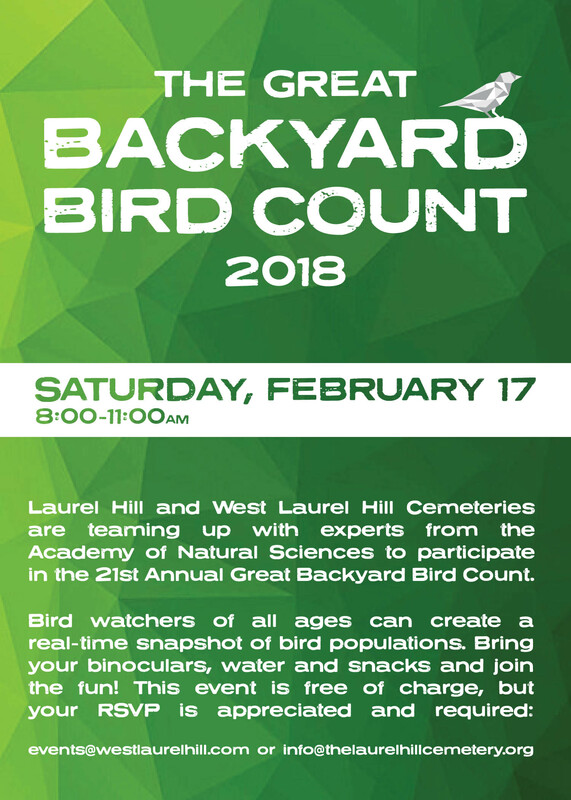 Places to watch this event include the rock amphitheater that overlooks the bridge entrance (on the Lower Merion side); the hillsides along the path between the bridge and Barmouth; the Barmouth open space; and inside West Laurel Hill Cemetery near the gate to the Cynwyd Trail. Spectators are encouraged to bring their own coffee and lawn chairs…and to cheer the bikes on. Please note there will not be a Board Meeting or Trail Workdays in July or August. The friends wish you a safe and enjoyable summer. See you in September! Often we think of a trail as a way to get from point A to point B, we run, walk or bike to our destination. The Friends of the Cynwyd Heritage Trail see it differently. We see the trail with its native plants and plentiful species of birds and other wildlife as a destination. We invite you to come to the trail and stay awhile. 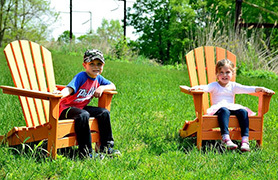 Bring your friends (two legged or four) and relax in one of our new Adirondack chairs. The trail is a great place to connect with community and we hope that you will slow down, relax and enjoy the view! Look for splashes of orange and teal as these chairs travel to some of our favorite spots along the trail. We hope to see you on the trail soon! Soak Up the Sun and Get Centered with a Refreshing Outdoor Yoga Class! The Friends of the Cynwyd Heritage Trail have partnered with local yoga studio, Dana Hot Yoga brings you Yoga on the Trail! 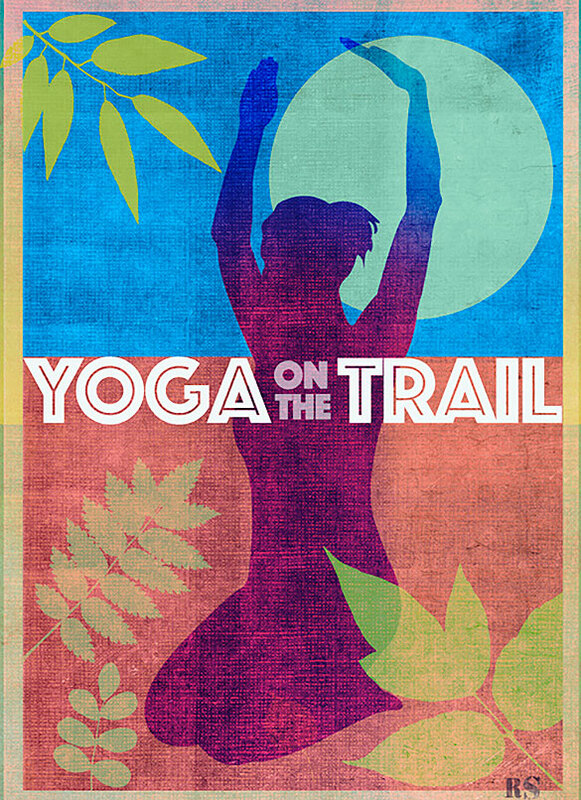 Starting at 11AM on Sunday May 1st, we invite you to join us in Cynwyd Station Park, right next to the (soon to be open) Trail’s End Cafe for a fun and relaxing yoga class that is appropriate for all levels. 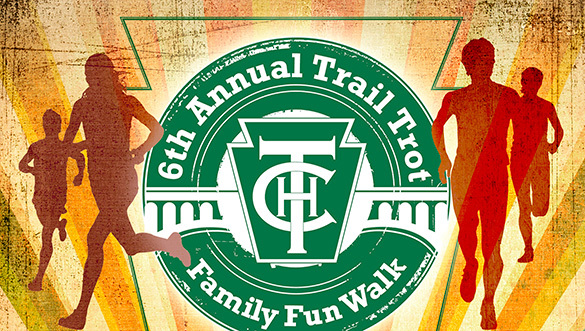 All are welcome to come out for our Fifth Annual Trail Trot and Family Fun Walk! The Friends of the Cynwyd Heritage Trail are hosting the Fifth Annual 5k run on the Trail to support improvements to the Cynwyd Heritage Trail. Like last year, we are including a family fun walk. Location: Barmouth Trailhead – Levering Mill Rd. and Belmont Ave. Parking is available at Barmouth Trailhead, Bala Cynwyd Playground and Cynwyd Station. Entry Fee: $25 online or by mail before May 31st OR $30 day of walk/race. Awards: (RACE ONLY): Male and Female Overall AND 6 Age Groups, including 18 & under. Registration: Online at https://runsignup.com/Race/PA/BalaCynwyd/TRAILTROTFAMILYWALK or click here to download the registration form. Make checks payable to “Friends of the Cynwyd Heritage Trail”. Come out and join us Sunday, April 10th for a FOCHT Workday. We are making this change because the 5th Annual Trail Trot is on Saturday, April 16th. We will congregate at the Barmouth Trailhead, end of Levering Mill Road, after crossing Belmont Avenue, at 9:00 to collect tools. 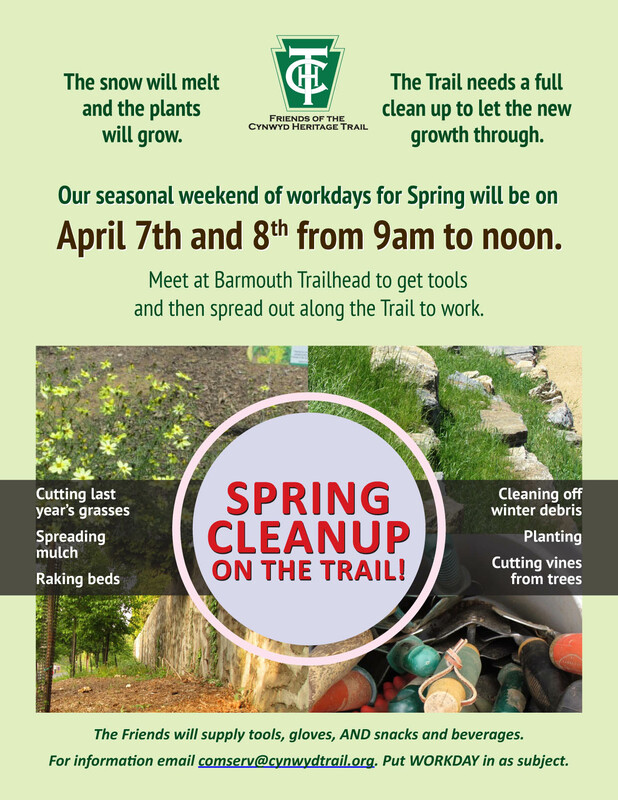 We plan on mulching at The Cynwyd Station and Barmouth Trail Head. FOCHT Board Members will be there to help direct you to one of the work areas on the trail. As always, The Friends will supply tools, gloves, snacks and water for all volunteers, so please come out and lend a hand. Unless otherwise instructed, volunteers meet us at Barmouth Trailhead, end of Levering Mill Road, after crossing Belmont Avenue. The Friends typically will have an information table set-up with sign in sheets, tools and refreshments staffed by at least one Friends Board Member. All are welcome to attend the Friends Monthly Board Meetings! Our January 11th, The Friends of the Cynwyd Heritage Trail Board Meeting will be held at The New Tavern, 261 Montgomery Ave, Bala Cynwyd at 6:45 PM. Please join us as we welcome new board members, discuss future events and enhancements to the trail. We invite you to The Friends of The Cynwyd Heritage Trail Third Annual Meeting! Everyone is welcome to join us December 15, 2015 at 7:00pm for our Annual Meeting at The Conservatory at West Laurel Hill Cemetery. You do not need to be a current member to attend. Light refreshments will be provided along with presentations about past and future improvements, as well as, ways in which the community can get involved in shaping this future. The Friends’ will also be recognizing our volunteers of year for 2015 with special awards. Come out and show your appreciation for all the hard work these volunteers have contributed to making The Cynwyd Heritage Trail one of the most popular recreational venues in the Greater Philadelphia Area. With the support of our members and volunteers, we have accomplished a lot in these first six years. The Trail now extends over the Manayunk Bridge, allowing for connection to the Circuit trail system stretching from Center City to Valley Forge. If you are a current member, thank you! If your membership may have lapsed, please consider renewing it. Hopefully you can attend our Annual Meeting, so we can all meet and celebrate in person! The FOCHT Board Meetings are the second Monday of every month, (except August), at 6:45 PM in The Bringhurst Funeral Home building at West Laurel Hill Cemetery. Enter the Cemetery from Belmont Avenue across from the Bala Cynwyd Playground through the main gate and follow the signs to Bringhurst Funeral Home, which is a short distance from the entrance on your left. 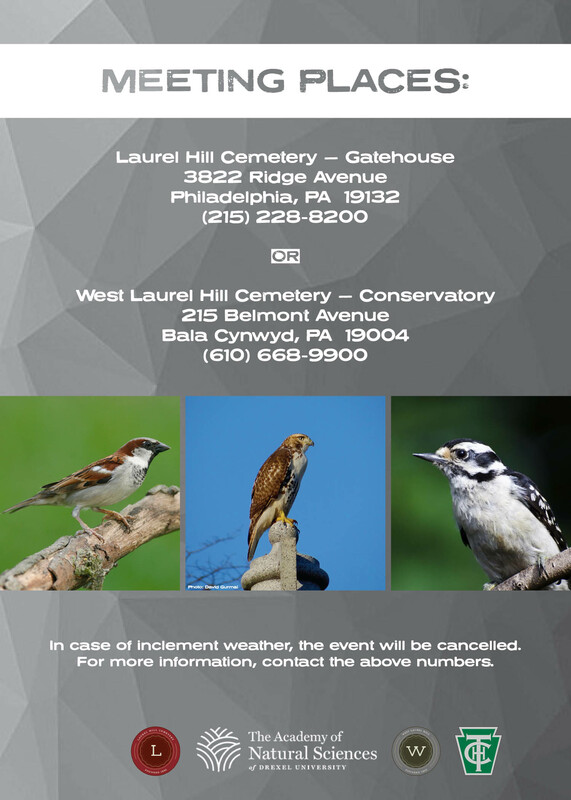 Please try to be on time as West Laurel Hill Cemetery holds the gates open for us to enter before and after every meeting. Come out and join the Friends of the Cynwyd Trail and Main Line Cycles for a celebratory group ride! We will be leaving Cynwyd Station as a group and riding across the Manayunk Bridge as a group. Destinations include Valley Forge Park (16 mi), Outbound Station Conshohocken(8 mi), or Manayunk. Ride at your pace, your distance and have fun with people of your skill level. We will organize into 2-3 skill level groups starting at 9:30. The Bala Cynwyd Farmers Market is still open for the 2015 season at its new location on The Cynwyd Heritage Trail, Please note new hours! Come shop for local and sustainably produced goods from area farmers and food artisans. You’ll find fruits and veggies; honey; breads, cookies, challah and other baked goods; humanely raised meats and pastured eggs; cheeses and award-winning pickles. Saturday, June 6th – 8:45 / 9:00 A.M. 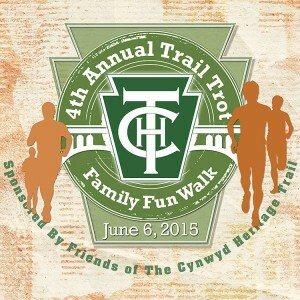 Please join us at the 4th Annual Cynwyd Trail Trot and Family Fun Walk on Saturday, June 6th! It gets bigger every year so come again or join us, if you are a first timer. Included this year is a family fun walk, so bring the whole family! Purpose: The Friends of the Cynwyd Heritage Trail are hosting the 4th annual 5k run on the Trail to support improvements to the Cynwyd Heritage Trail. Entry: $25 online or by mail before May 31st OR $30 day of walk/race. Amenities: All runners receive a T‐SHIRT! ; Walkers receive (1) t‐shirt per family; Additional shirts to be sold at event. Water on the course and a post‐run snack for all runners. Mail payment with (this form*) to: P.O. Box 695, Bala Cynwyd, PA 19004. Make checks payable to “Friends of the Cynwyd Heritage Trail”. Lower Merion Township sponsors the Trail Workdays, the primary way we join together to beautify and maintain the Trail. Workdays are usually held on Saturdays beginning at 8:30a, and we usually meet at Barmouth Station (locations are announced as the dates near). We provide tools, supplies, gloves, and refreshments for volunteers. Come out and enjoy! For more information regarding volunteer opportunities, contact the Friends at info@cynwydtrail.org. All you need to do is sign the Township waiver and the rest is up to you. For your convenience, below are links to the Lower Merion Waiver. If you complete the PRINT version, please bring it to the event. Location: West Laurel Hill Cemetery. Location: Union Fire Association n Montgomery Ave. Location: 100 N 21st St, Philadelphia, and then Chanticleer by 10 a.m.
www.chanticleergarden.orgAll groups are invited to PHS’s Chanticleer Field Trip (limit of 3 people per group). If you need transportation, meet at PHS (100 N 20th St, Philadelphia) at 9 a.m. We plan to arrive at Chanticleer by 10 a.m. Please RSVP to Nicolas Esposito <nesposito@Pennhort.org> by May 15 with the names of people attending and your transportation needs.On behalf of The Circuit Coalition, the Bicycle Coalition of Greater Philadelphia invites you to the launch of the Circuit Commitment Campaign. Location: Meet at the Barmouth Station Trail Access at the end of Levering Mill Road Free! Info: Call us at 610-645-9030 to receive our color catalog. Location: West Laurel Hill Cemetery, 225 Belmont Avenue, Bala Cynwyd. Meet in the back parking lot of the funeral home, 100 yards inside the Belmont Avenue entrance (south of Levering Mill Rd). Become a PHS Tree Tender! Date: Sunday, January 1st (Rain date: January 2nd, 2012). This year: A walk on the new Cynwyd Heritage Trail, with sweeping views of Manayunk and the Schuylkill River Valley. Meeting Place: The SEPTA Bala Railroad Station at Bala Ave. & City Ave., served on Sundays by Bus Routes 44 and 65. We’ll meet at 10.30 am for conversation, and begin the walk at 11am sharp. There is free parking at Bala Station on Sundays. We’ll stop for a cozy lunch in Manayunk after the walk, returning by SEPTA bus to Bala. Date: Sunday, January 1st, with a raindate of Monday, January 2nd, 2012. Bring: Binoculars and camera to observe wildlife and points of interest. Picnic beverages and snacks for the walk. Also, warm clothes and good walking shoes or hiking boots as the weather may require. The trails are sometimes hilly, but well graded..